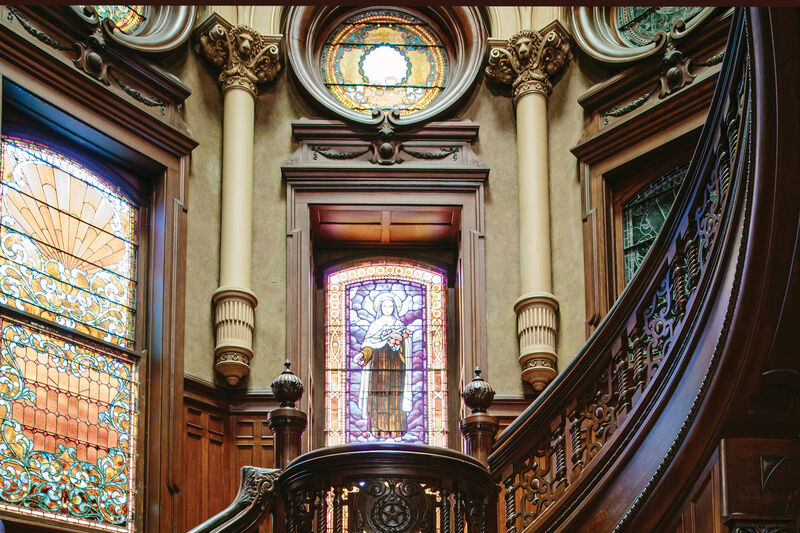 You might think that the oldest home in River Oaks would inspire architectural pilgrimages, hordes of souvenir-toting tourists posing for pictures in front of a jaw-dropping façade. Among the reasons it does not: The 1924 Colonial Revival–inspired house is, by River Oaks standards, a modest structure. It’s also still a home, and as such, has never been open for public viewing, aside from an open house held a few years ago. Which is why the photographs on this and the following pages are so interesting. They were obtained by Houstonia from photographer Paul Hester, who took pictures of the house for the firm of Glassman Shoemake Maldonado Architects, which renovated the residence in 2002. 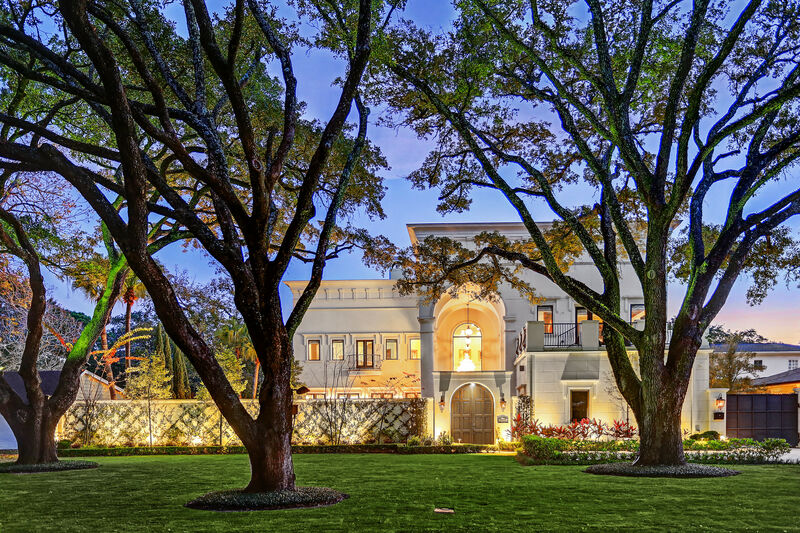 Thanks to them and the house’s present owners, you’re getting a rare peek inside the first-ever River Oaks home, along with a glimpse of the dynamic family that resided there. Another house figures prominently in this story as well, the one at 5300 Caroline Street in the Museum District. In the ’20s it was the primary residence of William and Susan Clayton who, as was customary among Houston’s wealthy elite at the time, lived in a mansion on the edge of the city—5300 Caroline Street at that time qualifying as the edge of the city. The 1917 Georgian residence, designed by Birdsall P. Briscoe and now home to the Clayton Library Center for Genealogical Research, afforded the couple and their four daughters much respite from Houston’s stresses. Still, it could hardly qualify as an escape. And so the Claytons—as was also customary at the time—built themselves a summer home far, far from the city, a retreat to which they could repair and rejuvenate as necessary. Way out in River Oaks. The summer home was built the same year that Will and Mike Hogg, sons of former Texas governor Big Jim Hogg and brothers to arts philanthropist Ima Hogg, teamed up with Hugh Potter to create a subdivision, the name of which would soon become synonymous with money and power in the Bayou City. The quintessential example of exclusivity by design, River Oaks had no paved roads and didn’t appear on any map. The remoteness was the point, after all, a feature that held great appeal for Susan Clayton. There, she believed, for three months a year, her daughters would be free from the big-city distractions and amorous suitors five miles away. 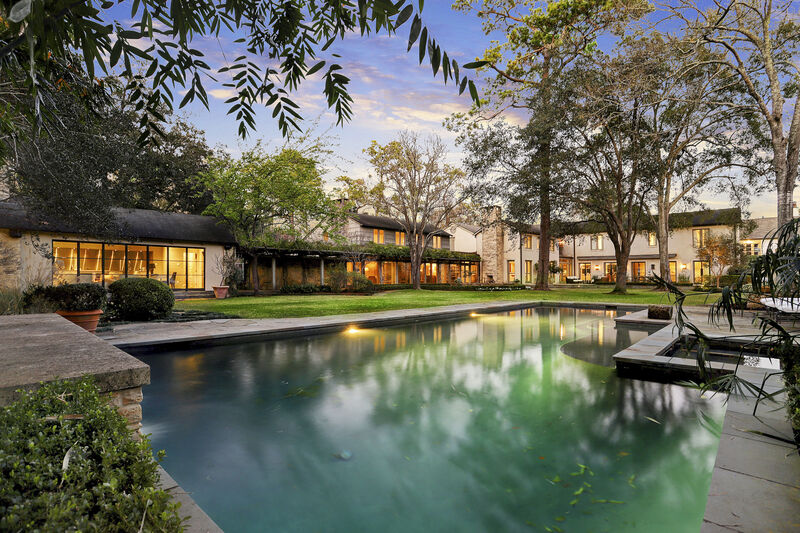 Another plus: the Claytons’ home, which Briscoe would also design, would back up to the proposed golf course for the brand-new River Oaks Country Club. “We used a soft touch when adding to the existing site,” said architect Carrie Glassman Shoemake (no relation to the author) of her 2002 redo, before quickly adding, “actually, there wasn’t much to undo.” That’s somewhat surprising when you consider that the Clayton manse hadn’t been updated since 1938, when the family converted it into a primary residence. But the grounds were still impressive, with their mature pines, unpaved 50-foot driveway, pool and pool house, tennis court, and detached garage/guest house. The two-story house itself drew inspiration from George Washington’s Mount Vernon. Flanked by a pair of outbuildings connected to the main white-clapboard-and-brick structure by semicircular, windowed arcades, the home’s two “arms” reached out confidently to the guests arriving via a circular-entrance pavilion drive. The home’s main front portal led directly to the back door via a central hallway, which allowed for a welcome breeze in pre–air conditioned Houston. The large living room was on one side of the central hallway, the dining room and library on the other. Upstairs were two bedrooms, two bathrooms, and a screened sleeping porch. Even though she had an almost 80-year-old River Oaks house on their hands, the owner, a grandchild of the original William and Sue Clayton, requested that the modest house be modestly renovated, a modernization of Briscoe’s structure that protected its architectural legacy. 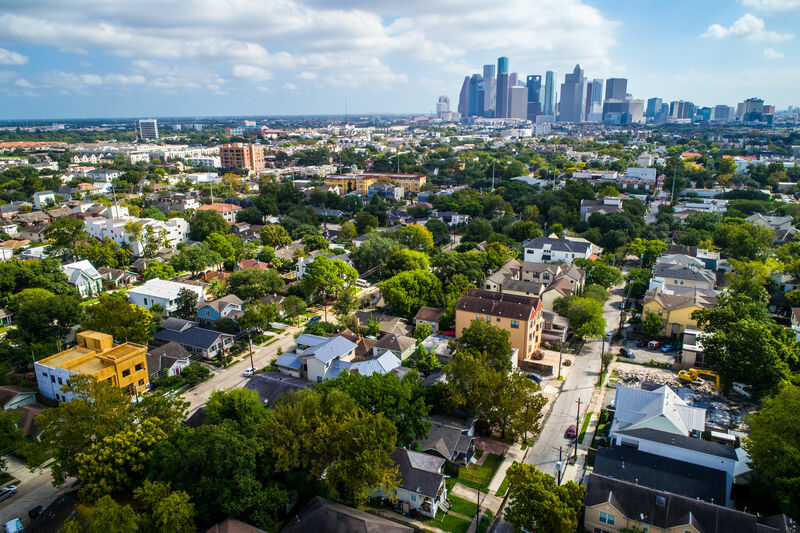 In this sense the project bucked current trends in River Oaks, which, like other neighborhoods, has struggled to set firm guidelines for new construction with regard to scale, building height, setbacks, and overall size. In any case, the Clayton house’s owners had self-imposed guidelines far stricter than anything a neighborhood association would draw up. The semi-detached kitchen was to remain, although with every modern convenience added. Mechanical and electrical systems would be replaced, of course, and the exterior wall insulation enhanced. Ultimately, 90 percent of materials removed, including hardware, lighting, and plumbing fixtures, were reused, something laudable and rare, sadly, among architects specializing in renovations. Among the few major new additions was a ground-level master bedroom behind the south curved arm connecting the main building to the kitchen. It was created in a modern style and painted white; thus, it isn’t visible from the circular entry court and doesn’t clash with its Colonial Revival setting. In 2009, several years after Glassman Shoemake Maldonado completed these sensitive, respectful, and subtle renovations of the Clayton summer house, the City of Houston accepted the owners’ application for Protected Landmark status, thus shielding this important piece of Houston’s history from inappropriate alterations, not to mention that other increasingly common menace: the wrecking ball. But that doesn’t mean you’ll be getting back inside again anytime soon. The owners insist that the house will continue to be what it is and always has been, not a destination for curious tourists drawn by the bewitching words “River Oaks,” but a private family home.